The Prague Castle in Prague, Czech Republic was established during the 9th century and a Romanesque palace was erected during the 12th. 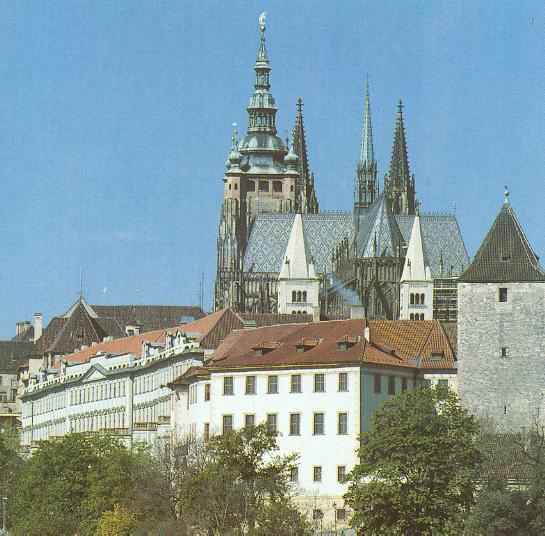 In the 14th century, under the reign of Charles IV, it was rebuilt to Gothic style. The final reconstruction of the Royal Palace took place under the Jagellons at the end of the 15th century. It is an oblong irregular polygon with an average diameter of 128 m (420 ft), giving a total surface area of 7.28 hectares (18 acres).